Send your guests home with some actual toys to let them keep the fun going after your Toy Story themed party! 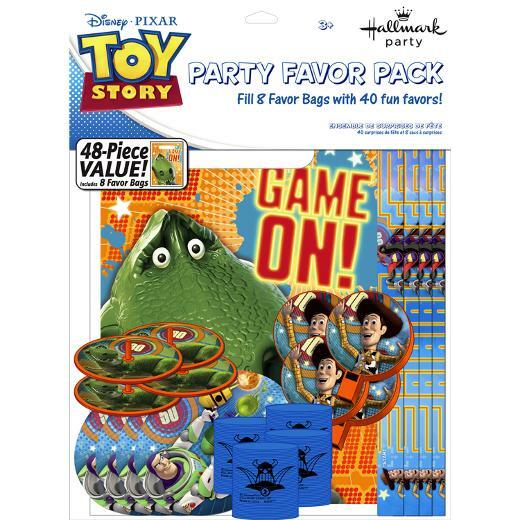 Our Toy Story Game Time Favor Pack has enough games, toys, and favor bags for 8 guests. All the items feature everyone's favorite Toy Story characters Woody, Buzz Lightyear, and Rex. This favor pack will help you show your guests their company was really appreciated! L: 11.0 in. W: 8.5 in. H: 2.0 in.